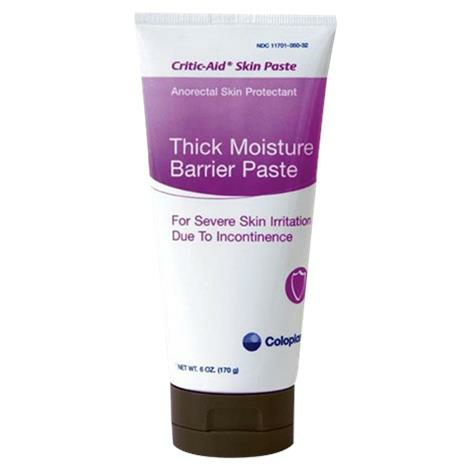 Coloplast Critic Aid Thick Moisture Barrier Skin Paste provides temporary relief for irritation or burning in the perineal area caused by severe incontinence such as in chronic diarrhea, fistulas or drain tubes. Zinc oxide base provides occlusive protection. It helps relieve discomfort in the perianal area. Adheres to intact and eroded skin. This skin paste is easy to apply and remove, is CHG compatible and suitable for neonatal use.